The Ballet stainless steel needle is the most economical needle in the Ballet range. 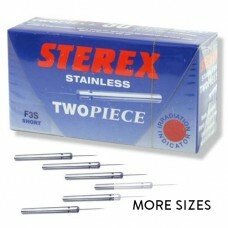 It is sculpted from 18/8 nickel-chrome Swedish stainless steel - the steel used in fine surgical instruments. 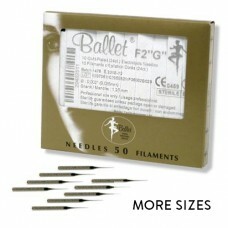 Micro-polishing is used to achieve Ballet`s unique, rounded point. 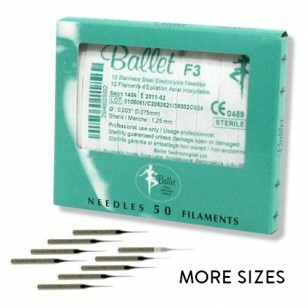 Current intensity can be lowered and insertions are smooth, precise and comfortable. 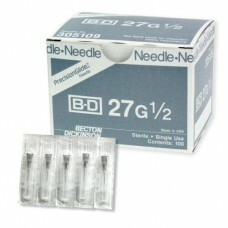 The stainless steel needle is ideal for clients with strong, healthy skin who respond well to electrolysis treatments.